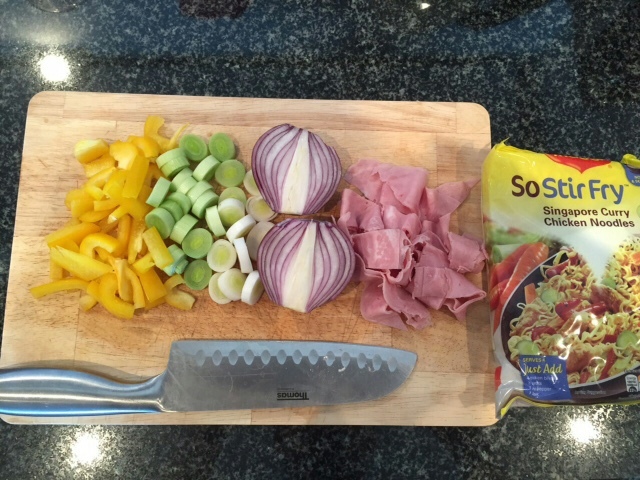 As you guys know I am a huge fan of quick, easily and simple supper meals for the weekday. If you haven't read some of my previous posts you can read here for the Chicken Lemon Garlic dish. 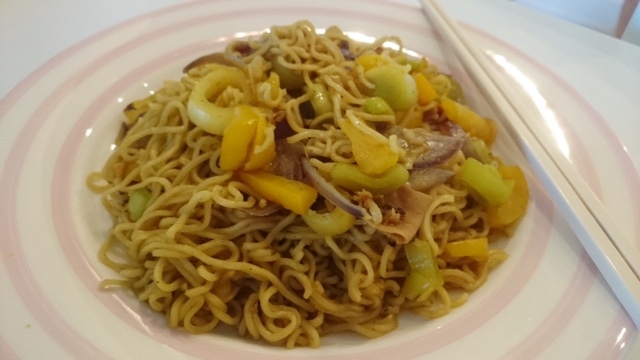 I am back with another simple dish for the weekday with Maggi So Stir Fry noodles using the sample pack I received in my May Degusta box. 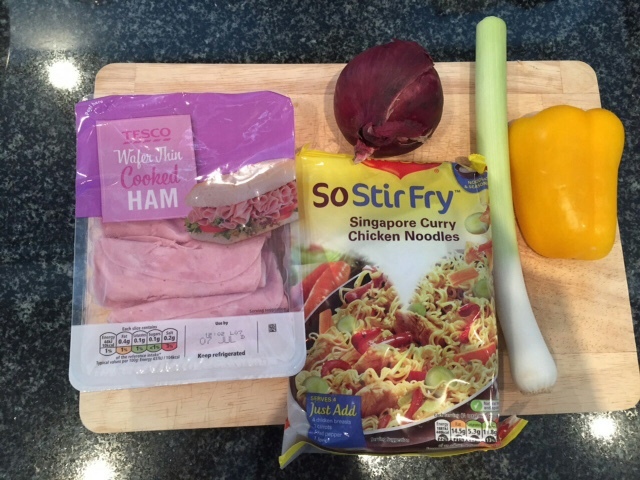 Ingredients for stir fry can be what ever you have in the fridge so it's good for using things that are about to go out of date or just using up bits and pieces in your fridge. So I had a pack of ham, leek, pepper and red onion. Get everything chopped up and heat up a pan with some oil and cook all the ingredients together. Once cooked put everything to the side in a bowl and using the same pan add in the Maggi noodles with water to soften the noodles then throw in all the filling and add seasoning and cook for a few minutes then it's ready to serve. The prepping and cooking process took no more than 20 minutes and 1 pack serves 2 people so if you are just cooking for yourself the left over is perfect for work the next day to heat up in the microwave. I think these noodles are great if you have friends over and you don't want to spend too much time in the kitchen cooking. 2 packs of the noodles will serve a generous portion for 4 people along with some sides. I still have one more pack in the cupboard for lazy days. Hope the cooking went ok! I'm craving these right after reading this post! Need to get my hands on this. I guess this way of cooking might be healthier than instant noodles! © One Slice of Lemon | All rights reserved.